A woman who arrived at hospital with agonising abdominal pain was sent home with antibiotics – only to receive a preliminary cancer diagnosis at a different hospital hours later. 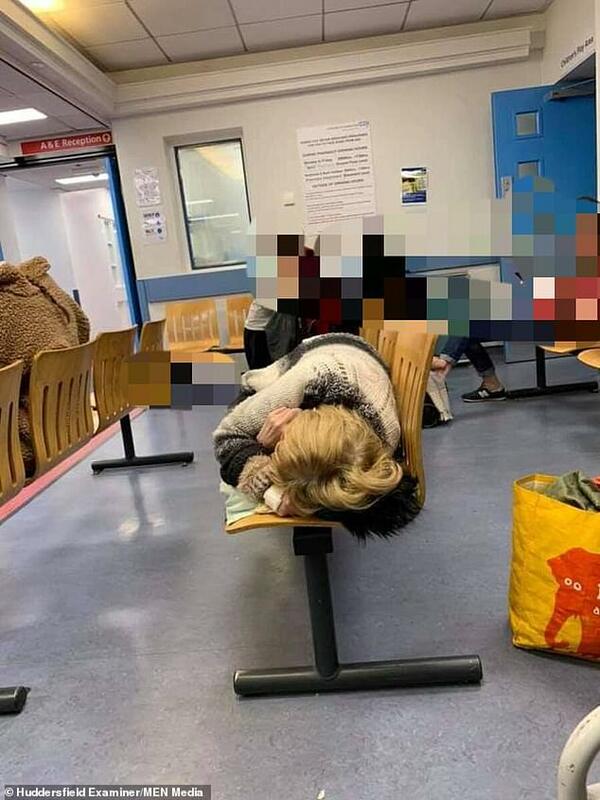 Joy Vivien Lee, 61, was rushed to A&E at Huddersfield Royal Infirmary (HRI) on January 14, where she spent hours lying on hard waiting-room seats. When Ms Lee was finally seen, her family claim a doctor did not have the equipment needed to properly investigate her symptoms and discharged her with a cannula – plastic tube that delivers drugs and fluids directly into the vein – still in her arm. Within minutes of being back at home in Mirfield, West Yorkshire, Ms Lee rang 999 again, convinced she was dying. 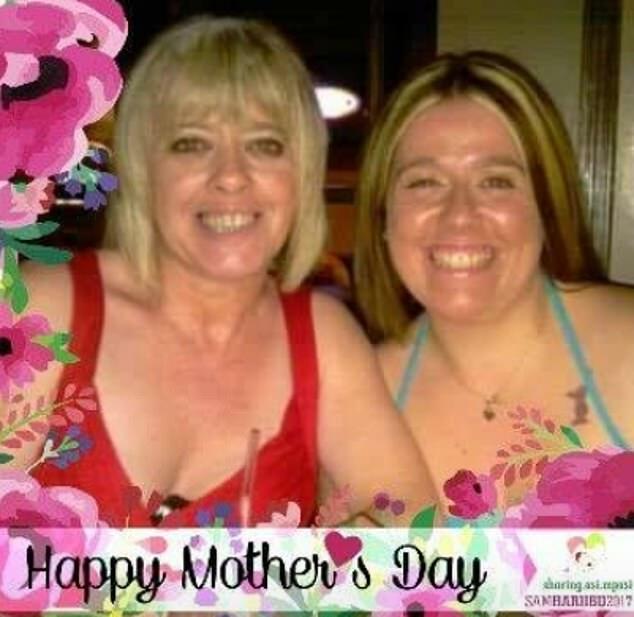 This time paramedics took her to Pinderfields General Hospital in Wakefield, where doctors discovered signs of ovarian cancer that may have spread to her bones. Ms Lee is back in hospital undergoing tests to determine an exact diagnosis. Speaking of Ms Lee’s symptoms, her brother Mark Oldham-Fox said: ‘She’s lost two stone in weight since the end of October and hasn’t been able to eat. While Ms Lee was assessed at Pinderfields, CT scans also revealed she had a dark shadow on her breast – another sign her suspected cancer has spread. Ms Lee had visited the hospital before Christmas concerned about her pain, only to be told it was likely gastrointestinal related and not serious. Speaking of his sister’s ‘treatment’ at HRI, Mr Oldham-Fox – who qualified as a mental-health nurse from the same hospital – said: ‘The prescription of antibiotics seems like a shot in the dark, they didn’t know what was wrong. ‘She couldn’t sit up because the pain was so severe, she was just in the fetal position. Mr Oldham-Fox adds medics at HRI did not even schedule a future appointment to see his sister. ‘To discharge someone who then arrives home and immediately calls an ambulance because they think they’re dying is shocking,’ he said. ‘I have worked in healthcare for 30 years and I know the care she received was unsatisfactory. At the very least, Ms Lee should have been offered painkillers, which HRI failed to do, Mr Oldham-Fox claims. ‘What I find incredulous is if she had been assessed before she was discharged, where was the person who said we need to investigate this further?’ he said. ‘How any doctor can discharge her without further investigation is beyond me. I’m very upset. Mr Oldham-Fox added his entire family are fuming and have lodged a complaint with hospital bosses. HRI chiefs confirmed they have started an investigation. 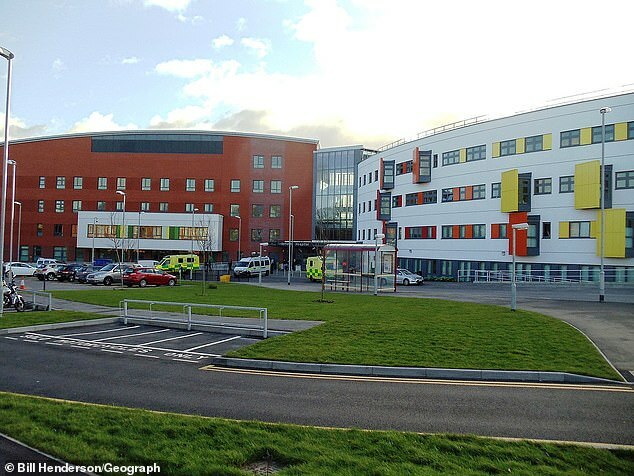 The incident comes just a few months after an inquest revealed an A&E doctor at HRI sent a critically ill patient away without examining them, only for them to later die at St James’s University Hospital in Leeds. 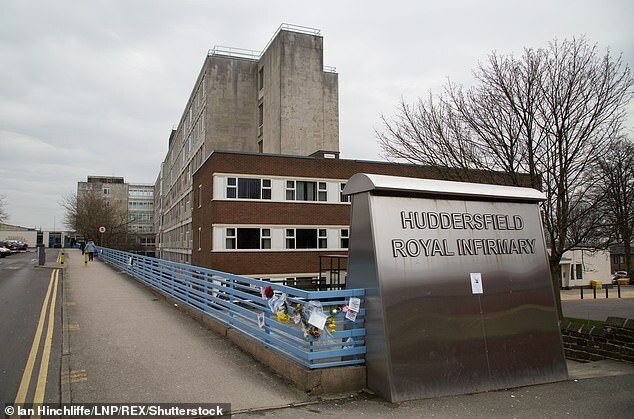 Jackie Murphy, chief nurse at Calderdale and Huddersfield NHS Foundation Trust, which runs HRI, said: ‘Clearly this has been a distressing experience for Ms Lee. ‘We are genuinely sorry to hear of her experience and her diagnosis. About 80 percent of ovarian cancer cases are diagnosed in the advanced stages of the disease. At the time of diagnosis, 60 percent of ovarian cancers will have already spread to other parts of the body, bringing the five-year survival rate down to 30 percent from 90 percent in the earliest stage. 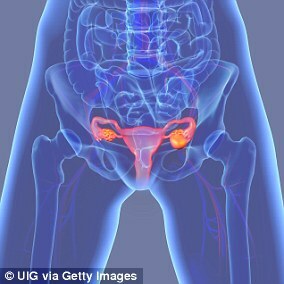 It’s diagnosed so late because its location in the pelvis, according to Dr Ronny Drapkin, an associate professor at the University of Pennsylvania, who’s been studying the disease for more than two decades. ‘The pelvis is like a bowl, so a tumor there can grow quite large before it actually becomes noticeable,’ Dr Drapkin told Daily Mail Online. The first symptoms to arise with ovarian cancer are gastrointestinal because tumors can start to press upward. When a patient complains of gastrointestinal discomfort, doctors are more likely to focus on diet change and other causes than suggest an ovarian cancer screening. Dr Drapkin said it’s usually not until after a patient endures persistent gastrointestinal symptoms that they will receive a screening that reveals the cancer. ‘Ovarian cancer is often said to be a silent killer because it doesn’t have early symptoms, when in fact it does have symptoms, they’re just very general and could be caused by other things,’ he said.